This is a platforming gaming similar to cat mario where you must complete the two levels. 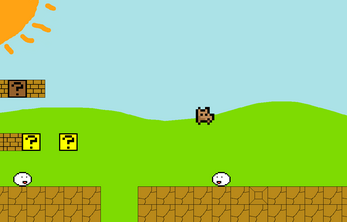 Although this game might look very basic, this is intended to parody the style of which cat mario has used. 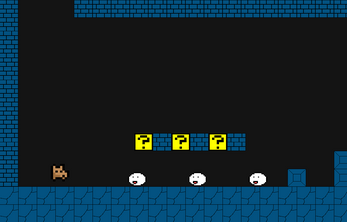 Looking from the screenshots of this game, the level seems pretty normal/similar to the actual mario.... but be warned, looks can be deceiving! There are many interesting and funny secrets within the levels and enemies that you can discover! It is pretty damn challenging, but don't give up! You can beat it if you are determined. 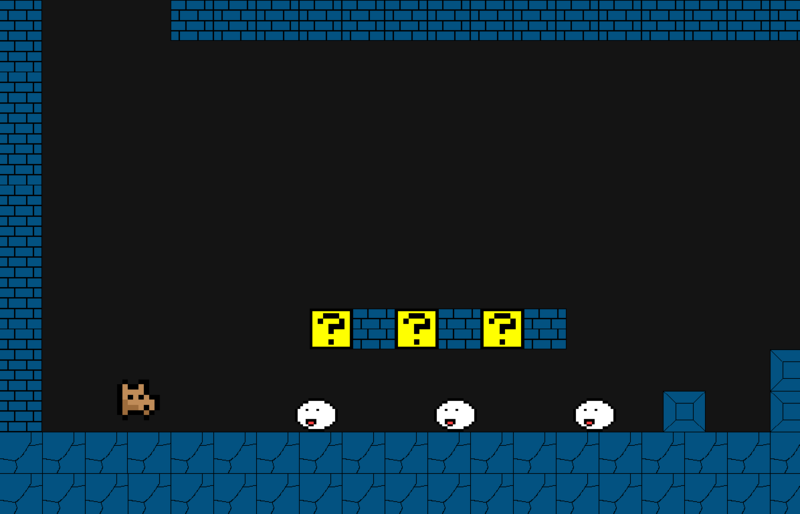 How many lives does it take for you to beat it?